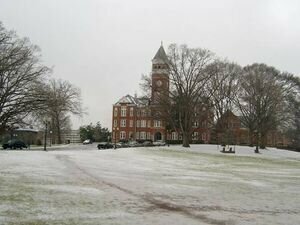 [[Bowman Field]] is an extremely large, open grassy area in front of [[Sikes Hall]], [[Tillman Hall]], [[Godfrey Hall]], [[Holtzendorff Hall]], and [[Mell Hall]]. Named for [[R.T.V. 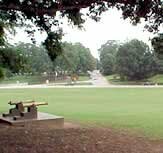 Bowman]], it was originally the parade ground for Clemson cadets and the home of [[Clemson University]]'s first football, baseball and even basketball teams. 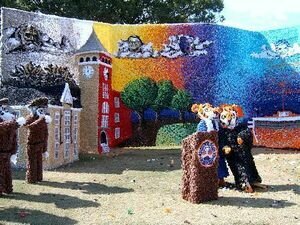 Today it is regarded as [["sacred soil,"]] having played such a large part in Clemson's history and being the central location for leisure activity for students. On most any day with nice weather you are likely to see students laying out, tanning, studying, throwing frisbee, playing football, volleyball, soccer, or even playing with their dogs.